Vintage photos from yesteryear provide wonderful reminiscing opportunities for the elderly living with dementia. Remembering the past helps the elderly affirm their lives and uncover deep-seated memories. Noted! Thanks for your feedback Kymberly. I will follow up on this and get back to you. I believe we do have other ones in other activities. Could we have some British-specific photographs please? I'll let our activity department know to release country-specific photos next time. Great resource! We would also be interested in British pictures. These are coming soon Amy and Carol... I have followed up on this for you. Great idea but why are all the photographs of American origin? Great question. 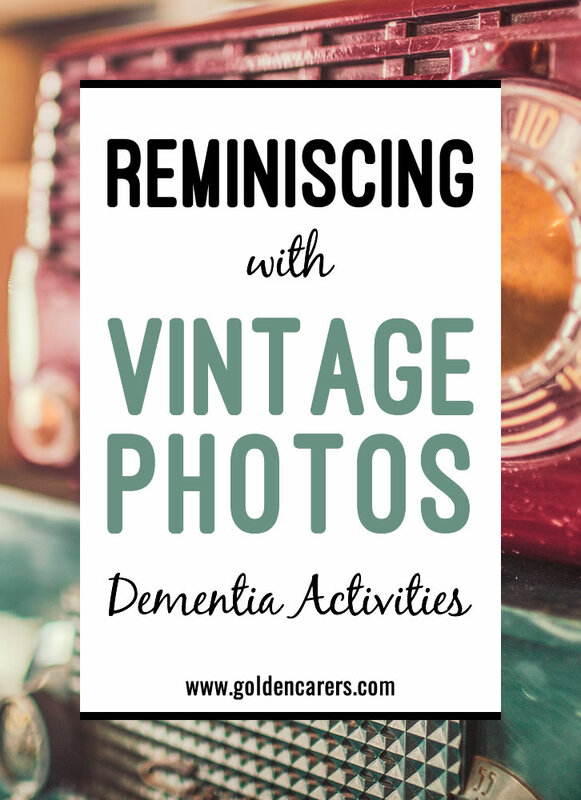 We have a number of these reminiscing photo activities planned this year. We didn't intentionally make all the photos US based. I'll let our activity department know to release an AU-specific one next :). Great activity. It is often beneficial to start reminiscing with something to smell. For Knotts Berry Farm, open a new jar of their jam and let people smell. It is where start to attach our memories. Thanks for your feedback Shelley. What a great idea!